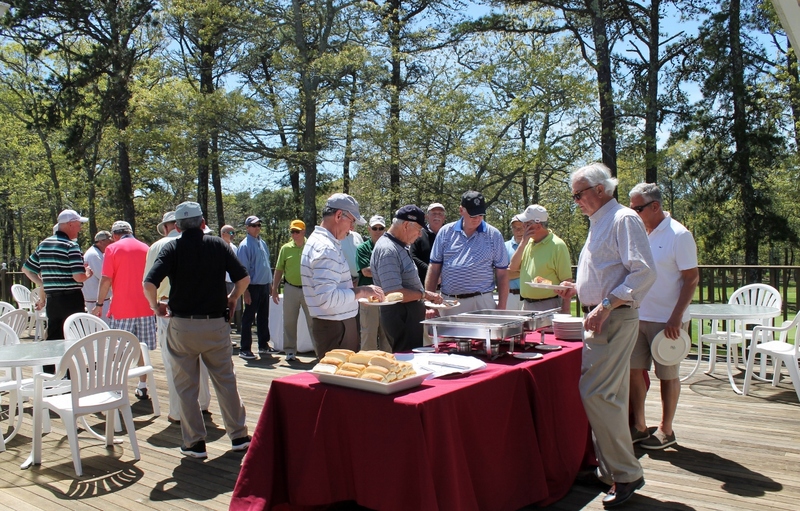 With 36 holes of championship golf that can accommodate 144 golfers, a banquet room, outside seating and a fully stocked mobile on-course beverage cart, there is no golf facility on Cape Cod that matches The Captains for hosting a corporate outing. A cookout on the deck for one of our groups. Regardless of the size of your group, The Captains can meet your needs. 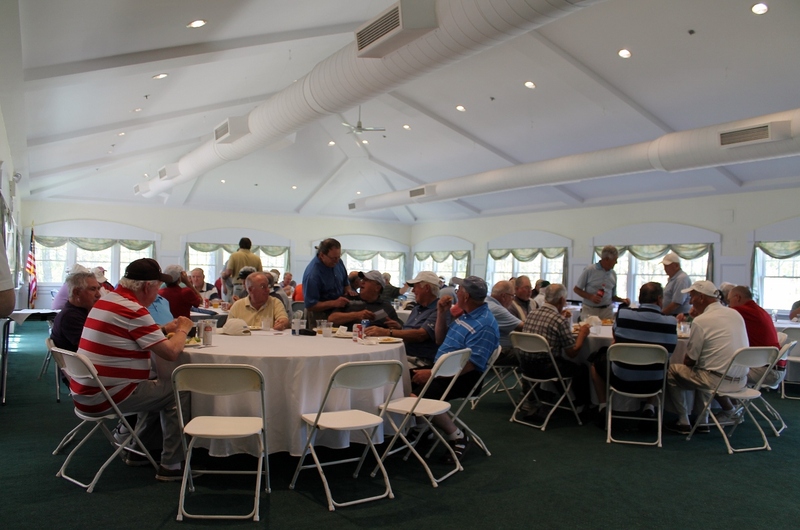 Larger outings can comfortably hold post-golf dinners in our Ellsworth Pavilion, which seats up to 200 people. Smaller groups that prefer a cozier atmosphere can choose Freemans Grill, which offers a more casual setting and accommodates up to 90 guests. The new grill is also an ideal spot for a quick snack and a beverage while making the turn, waiting for other golfers to complete their rounds or catching up on the latest sports on one of several flat screen TVs. The adjacent outdoor patio offers additional seating and a perfect view of the first tee on the Starboard Course. 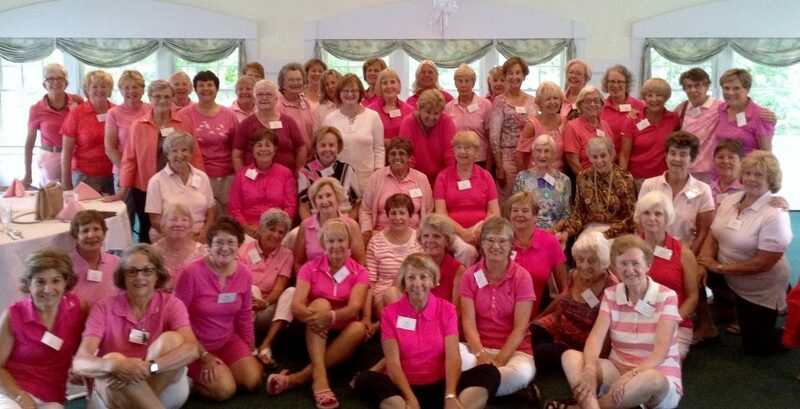 Course staff is at the ready to accommodate special requests for your group. 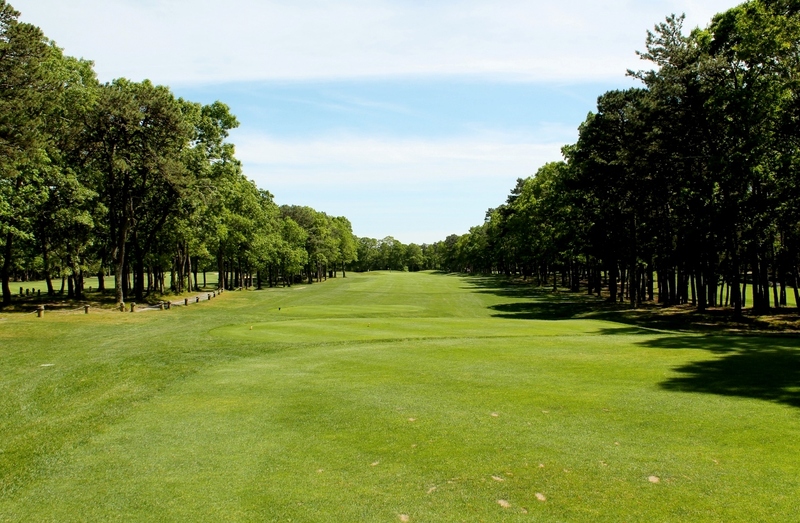 During the golf outing, we’ll run long-driving and closest-to-the-pin contests on designated holes. Looking for something truly different, like a putting contest following dinner with a big prize going to the winner? We’ll take care of that, too. Whether it’s a big-time corporate outing or a smaller business gathering, there are many convenient lodging options located nearby that will suit any budget, from upscale spots such as the Wequassett Resort in Harwich and the Ocean Edge Resort in Brewster to the historic Olde Manse Inn and numerous bed-and-breakfast establishments. The quaint downtown is only a short drive away, where you’ll find upscale dining, art galleries and pristine beaches. The 16th on the Port Course. For the state’s best golfers, the Starboard played 6,776 yards from the tips, with the Port measuring 6,675. But for a corporate outing with golfers of different skill levels, you can select from tees ranging from 5,784 to 6,198 yards. There are also women’s tees at around 5,300 yards. 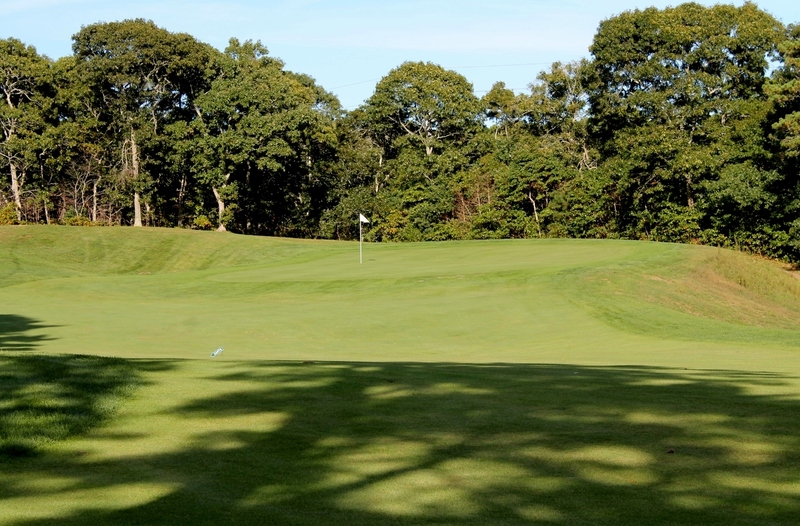 Best of all, both courses provide a classic Cape Cod feel, with tree-lined fairways, relatively flat terrain and a straightforward test of golf. Clearly, there’s a reason why The Captains has earned a reputation as the premier golf club to host an event.